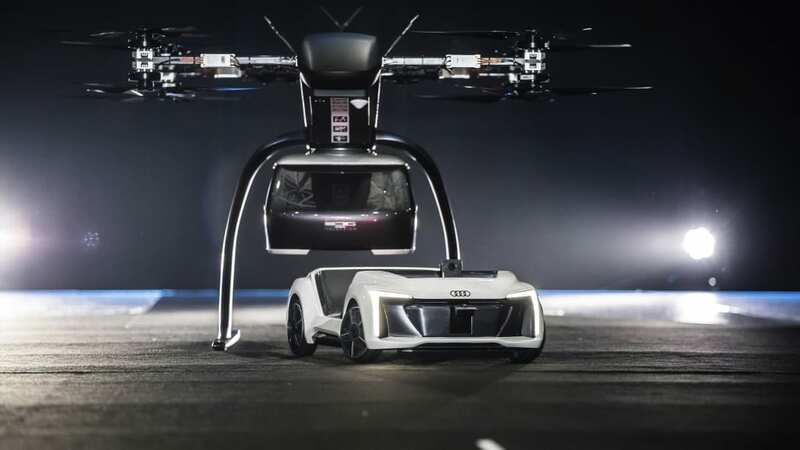 At Drone Week in Amsterdam Audi, Airbus and Italdesign are presenting for the first time a flying and driving prototype of âPop.Up Nextâ. 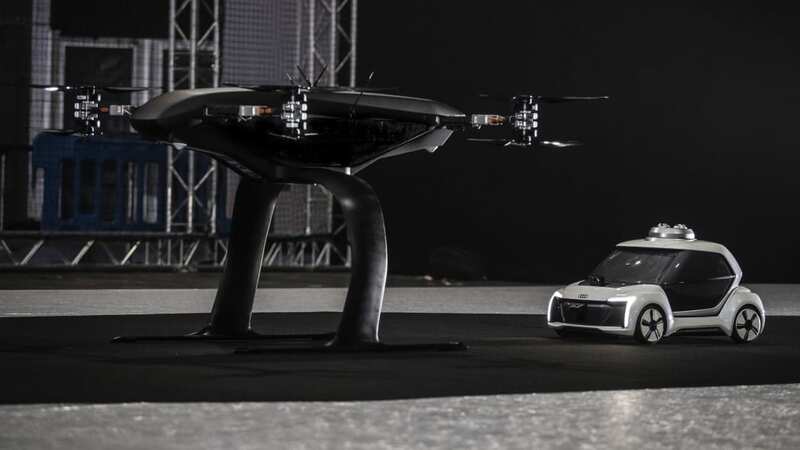 This innovative concept for a flying taxi combines a self-driving electric car with a passenger drone. In the first public test flight, the flight module accurately placed a passenger capsule on the ground module, which then drove from the test grounds autonomously. This is still a 1:4 scale model. While most of the world world looked to the L.A. Auto Show for Audi's vision of the future with the E-Tron GT, there were eyes on Amsterdam for a different Audi vision. 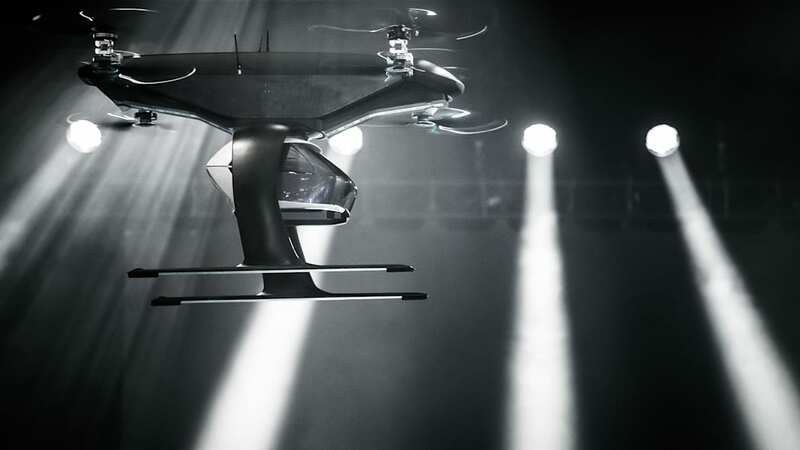 During Amsterdam Drone Week, the German carmaker, its subsidiary Italdesign, and aerospace firm Airbus demonstrated a working prototype of the Pop.Up.Next flying taxi. 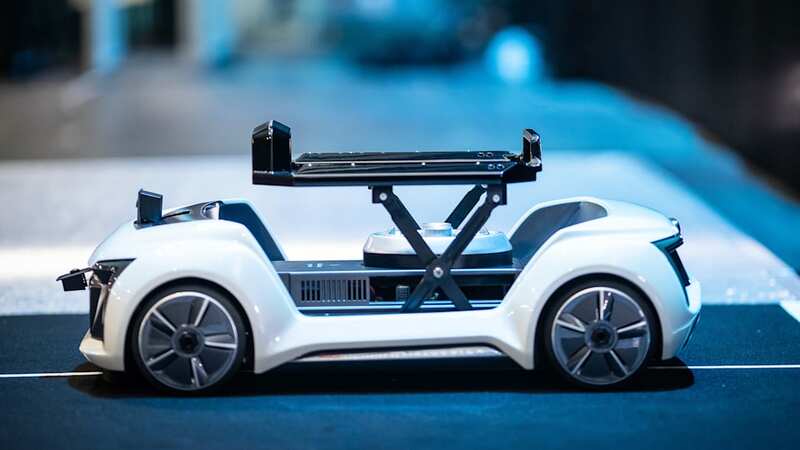 The ¼-scale model continues the evolution of the concept first shown in 2017 at the Geneva Motor Show, and in perhaps a decade could take its place in the world of multi-modal urban transport. 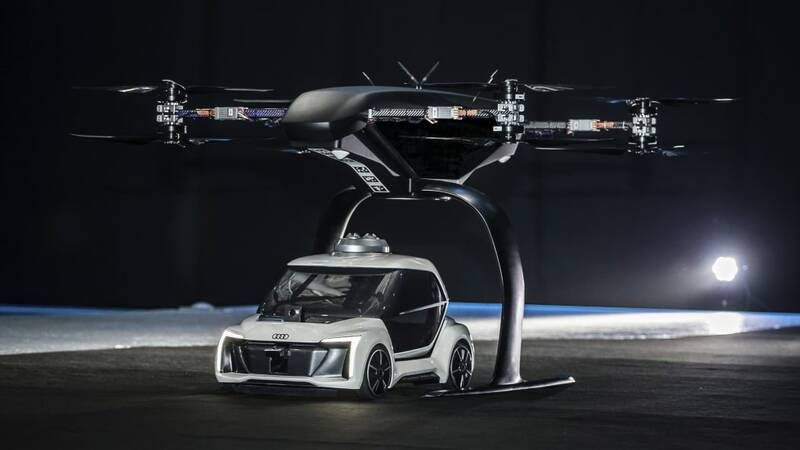 Said Dr. Bernd Martens, president of Italdesign and Audi board member for sourcing and IT, "Flying taxis are on the way. We at Audi are convinced of that." 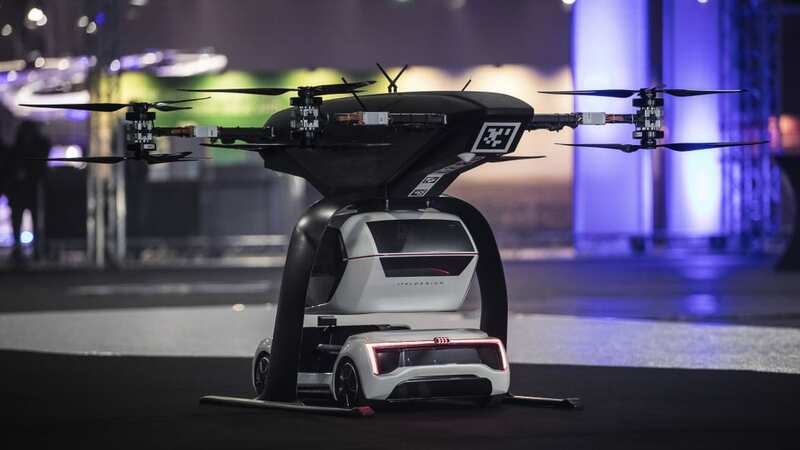 The Pop.Up.Next consists of an autonomous, wheeled, battery-electric chassis that holds a detachable, two-seat pod designed by Italdesign and Audi. When it's time to fly, a flight module designed by Airbus lands, straddling the pod. The chassis raises the pod until the pod locks onto the flight module, then the flight module takes off for the destination. There, the four-propeller module straddles another chassis upon landing, lowers the pod onto the chassis, and the chassis departs on the road. 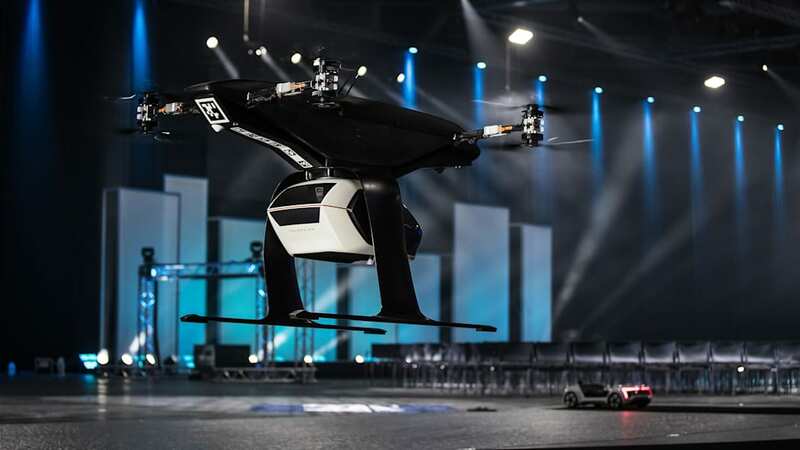 That autonomous drive-fly-drive dance is what the three companies successfully demonstrated in Amsterdam. After a drone flew to a parking spot on the floor of the hall, the self-driving vehicle drove under the flight module and exchanged the pod. The drone flew across the hall to another chassis, deposited the pod, and the chassis whisked itself away. In a full-sized mockup, a 49-inch touchscreen keeps passengers informed of every move. Occupants can control the pod and input directions though touch, speech, facial recognition, and eye-tracking. 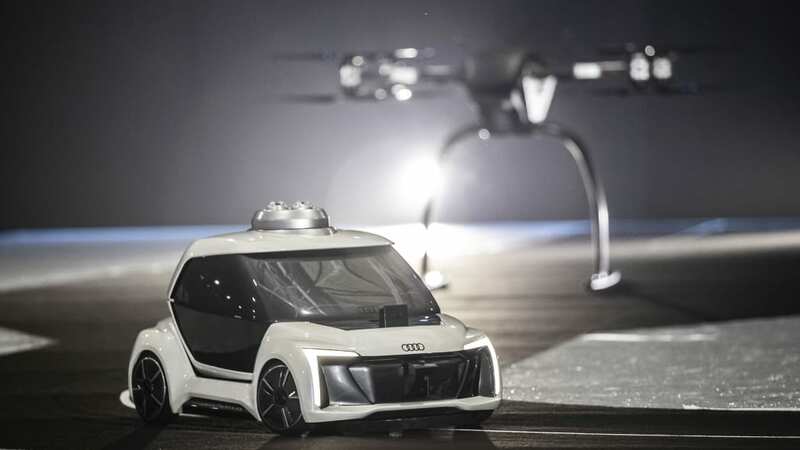 Audi's working with Airbus subsidiary Voom in Mexico City and Sao Paulo, Brazil, to learn more about how potential customers would use such a service. Without the future tech, the service uses plain old helicopters and Audi sedans: A customer books a helo flight, takes an Audi to the helipad, flies, and finds an Audi waiting for him when he lands. As is, Audi says the Pop.Up.Next chassis can go 31 miles on the ground, and the flight module can travel 81 miles in the air. Martens said "the next step is for a full-size prototype to fly and drive." 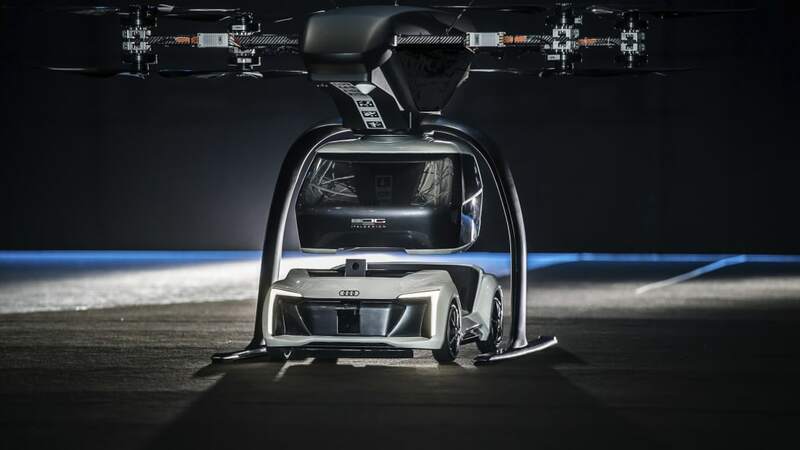 As the automaker learns, it's working with the European Union to get the public ready for the revolution by participating in an Urban Air Mobility flying taxi project in Ingolstadt, Germany. 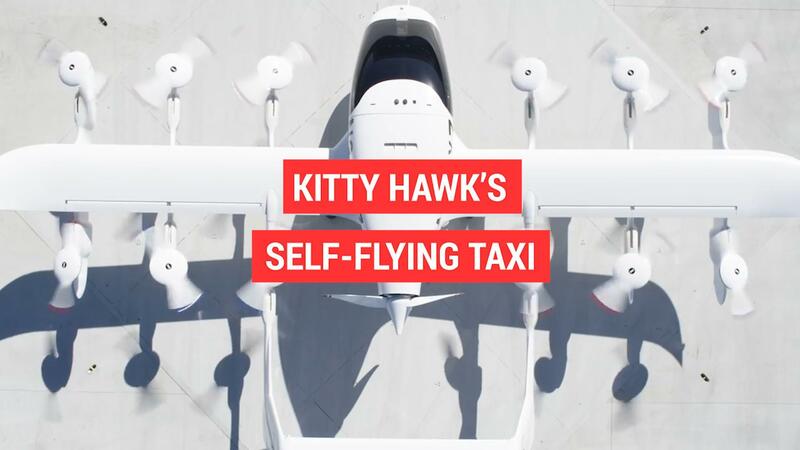 Eventually, the site will host air taxi operations and "answer questions concerning battery technology, regulation, certification, and infrastructure." For a reminder that this isn't just science fiction, the list of companies and joint ventures working in the field of air taxis and flying cars numbers at least 22: AeroMobil, Airbus, Aston Martin, Aurora Flight Sciences, BlackFly, Boeing, Toyota-backed Cartivator, Joby Aviation, EHang, Kitty Hawk, Lilium, Opener, PAL-V, Rolls-Royce, SkyGrid, Switzerland's Passenger Drone, Geely-backed Terrafugia, Uber, Vahana, VerdeGo Aero, Daimler-backed Volocopter, and Workhorse. Uber plans to have air taxis on the go in Los Angeles, Dallas-Ft. Worth, and Dubai by 2020. Even NASA is on board, with the space agency's associate administrator for aeronautics saying there's a "revolution coming in aviation."